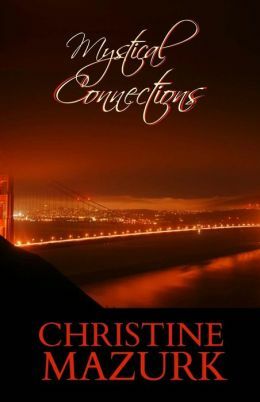 Tuesday’s Revolving Book is the paranormal romance MYSTICAL CONNECTIONS by CHRISTINE MAZURK. She begins uncovering history that could change Aidan’s life as he knows it and shade his black and white world with gray, while threatening to tear her own family apart. Christine Mazurk is a business woman and Ironman triathlete with a passion for writing stories about ‘heart’. Her business experiences and participation in endurance events have allowed her to live and travel the world with her husband John and their two cats. She believes things happen for a reason. Their two 18-year-old cats died within three months of each other, and though she and her husband agreed to wait at least a year to adopt new kittens, their new guardian angels in heaven had a different idea, so thirteen days after the second one passed, on a cold, wet, Christmas Eve, a little black kitten – now named Tango – found them. They adopted Samba, another all black kitten, a few weeks later.